You really don’t need a reason to enjoy ice cream; however, this summer I do have a couple of celebrations that could use a sweet treat! The biggest one is that my oldest daughter was accepted to university in southern Ontario and will be leaving the nest in August (sniff, sniff). This is an important milestone in our lives. She’s starting her adult life and I’m dealing with my first child leaving home. The second celebration will be the unveiling of our renovated kitchen. It’s been a long time coming and I can’t wait to see the finished space. It’s going to be SO nice. All the mess I’m dealing with now will be worth it. Whether you’re celebrating a milestone or simply craving something cold and sweet, ice cream is the answer! It doesn’t have to be expensive and you can enjoy delicious frozen treats for less when you shop at Walmart. They recently provided me with a couple easy recipes to try and share with you. The results were outstanding! We love Great Value Ice Cream and I think you will too. Floats are a popular cold treat in our home. They are simple for the kids to make and require only a few ingredients. The Superlicious Float was a hit after a day of renovating. The star of the recipe is Great Value Superlicious Ice Cream. It’s smooth, creamy, colourful and packed full of fun fruity flavours. It’s yummy on its own, but this float recipe takes it up a notch. Each sip is a different flavour experience! The kids will get a kick out of all the colours and how each bite tastes different from the last. It has banana, strawberry and blueberry flavours. 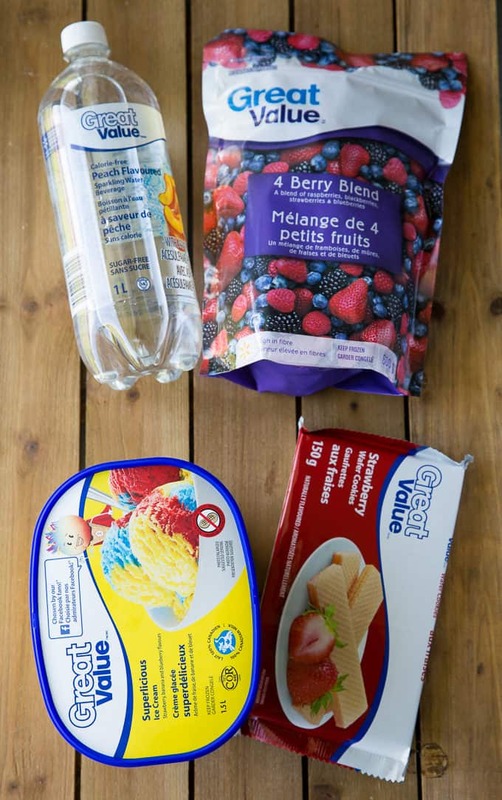 You’ll also need Great Value Peach Sparkling Water, Great Value 4-Berry Frozen Fruit Blend and some Great Value Strawberry Wafer Cookies for garnish. 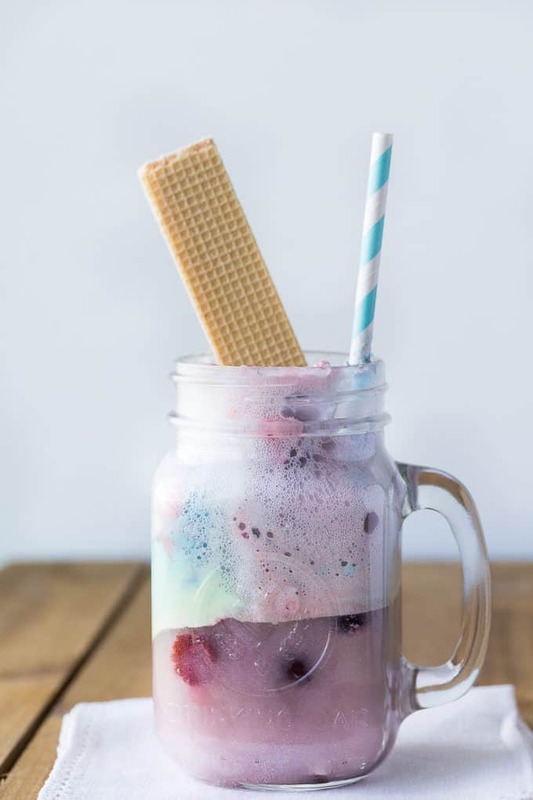 Add 2 scoops of ice cream and 2/3 cup of frozen berries to large glasses. Pour the sparkling peach beverage over top and garnish with a strawberry wafer cookie. I told you it was an easy recipe! The result is a sweet, refreshing and creamy summer drink you can enjoy to beat the heat on a hot summer’s day. The frozen berries are a nice touch and act like little ice cubes keeping your drink cold despite the hot weather. I like to dip my strawberry wafer cookie into the float, as it makes for a prettier presentation for a perfect frozen dessert. Bridget, my 12-year-old, can easily make her own floats without my help. She’s been asking me to buy more Great Value Ice Cream in some other flavours so she can create different recipes. It’s a fun way for kids to experiment in the kitchen. 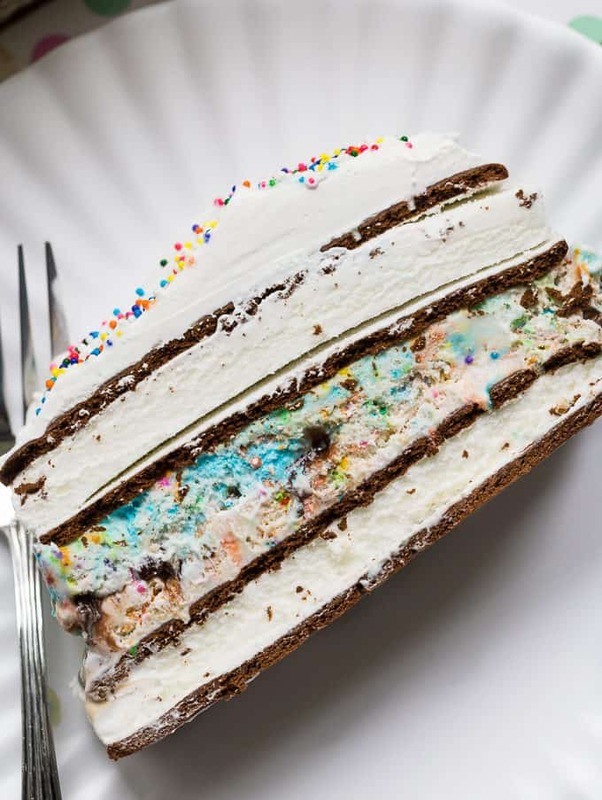 Are you ready to learn how to make the ULTIMATE ice cream cake? This Birthday Bonzana Cake will blow your mind with how scrumptious it tastes and how simple is it to assemble. You are going to want to save this recipe so you can WOW your friends and family for your next special occasion. 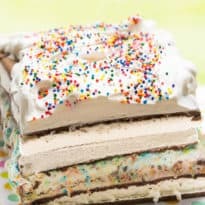 For this recipe, pick up the following ingredients the next time you are doing your grocery shopping at Walmart: Great Value Birthday Party Ice Cream, Great Value Fudge Creme Filled Sandwich Cookies, chocolate flavoured topping, Great Value Vanilla Ice Cream Sandwiches, Great Value Whipped Topping and rainbow sprinkles. All these ingredients are great on their own, but when they come together? Amazeballs. I went over to my cousin’s house to use her kitchen (and her freezer) to make this recipe. She didn’t mind as long I left her a piece to try. That was the deal and it was fine with me! The first step is to soften the Great Value Birthday Party Ice Cream in the fridge for about 30 minutes. This important step will ensure it’s soft enough to spread on the cake. Chop the Great Value Fudge Creme Filled Sandwich Cookies and mix with chocolate flavoured topping. I know it’s tempting to grab a few spoonfuls and eat out of the bowl. Hold yourself back, because you’ll need to save it for the recipe. It’s worth it, I promise. 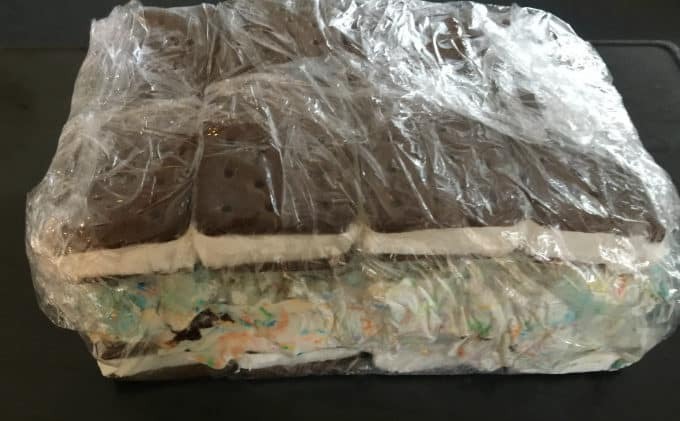 Lay four Great Value Vanilla Ice Cream Sandwiches on a baking sheet covered in plastic wrap. They will become the base for your cake. 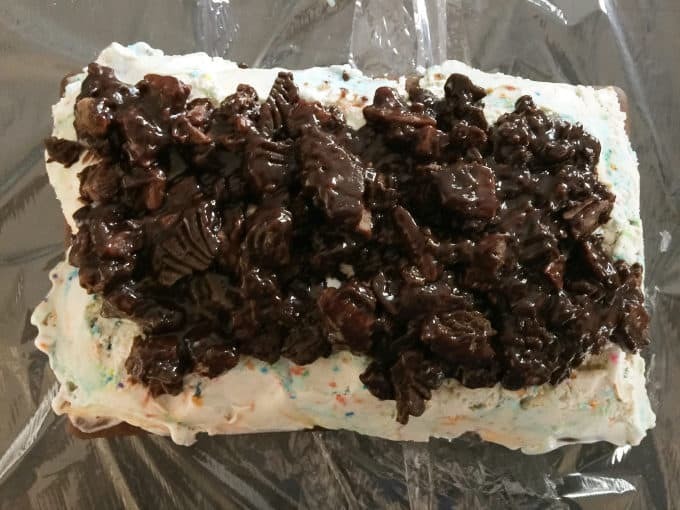 Spread a layer of softened Great Value Birthday Party Ice Cream on top of the base and cover with the chopped cookies and chocolate mixture. 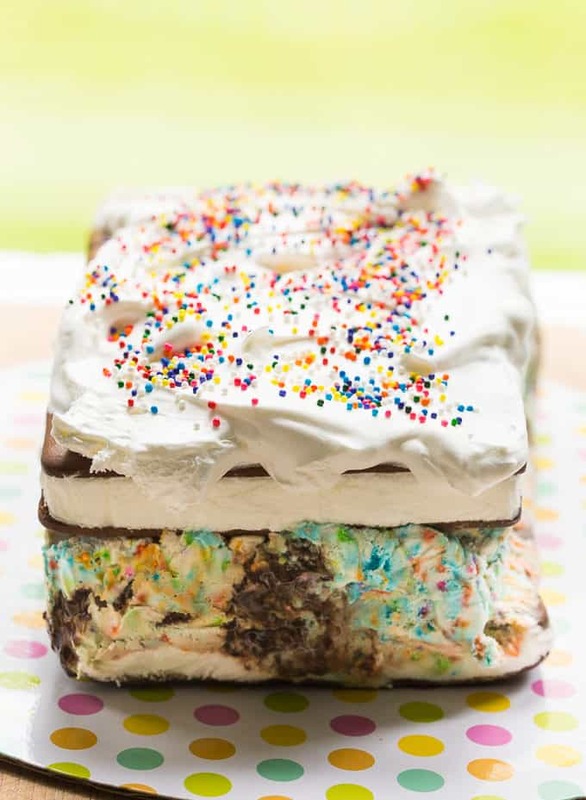 Add another layer of ice cream and finish with another layer of ice cream sandwiches. Time to wrap the cake! Wrap it up tightly with plastic wrap so it retains a rectangle shape and pop into the freezer for four hours. After the four hours, your cake should be nice and firm. Top with thawed Great Value Whipped Topping and rainbow sprinkles. The cake then goes back into the freezer (minus the plastic wrap) for 2 hours so that the whipped topping firms up. Look at this beauty? I was so happy with how it turned out. This was my first time ever making an ice cream cake! It sure won’t be my last though now that I know how. I’m sure you’re wondering if it tasted as good as it looks. All I can say is “Oh my, did it ever!” It was a creamy contrast of fun flavours. I loved the Great Value Birthday Party Ice Cream. It tastes just as yummy (if not better) than a homemade ice cream! It’s melt-in-your-mouth good. If you love the cake and ice cream combination, you need to try it. It slices beautifully so that everyone can try all the layers of cold sweetness. My cousin’s kids devoured this cake in record time. I left some in her freezer for them to try. She said it was gone by the next day. I can’t say I’m really surprised though! It’s a keeper. I left her the recipe so she can make it again. She said she had some birthdays coming up this summer and this cake will be perfect for the occasion. Satisfy your sweet cravings and stay cool with Great Value Ice Cream this summer. I hope you’ll try these unique recipes and let me know what you think! Into each of 4 large glasses, portion 2 scoops of ice cream and 2/3 cup fruit blend. Over top, pour sparkling beverage and top with a strawberry wafer cookie. Serve immediately. Place ice cream in the fridge to soften for 30 minutes. Invert a rimmed baking sheet (to act as a guide for cake layout) and lay 2 sheets of plastic wrap next to one another overlapping slightly to create a base to wrap the cake. 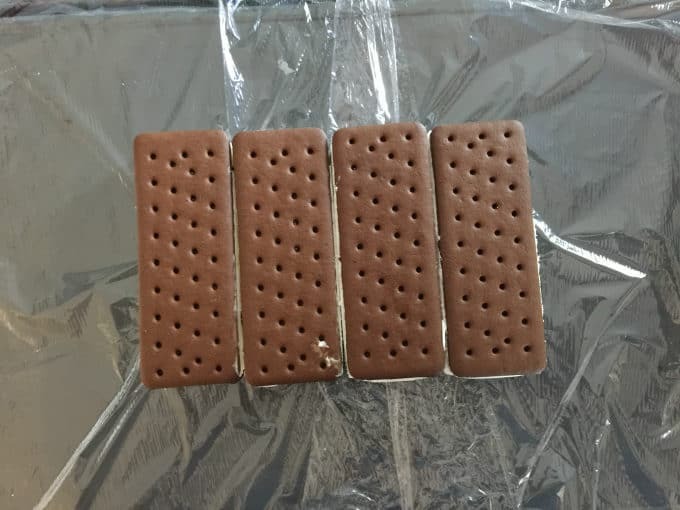 In the centre of the plastic wrap, working quickly, lay 4 ice cream sandwiches side by side lengthwise to create a rectangle base. Spoon 2 cups (about 4 1/2 cup scoops) ice cream over top, lightly pressing to flatten evenly to edges of sandwiches with a spoon. 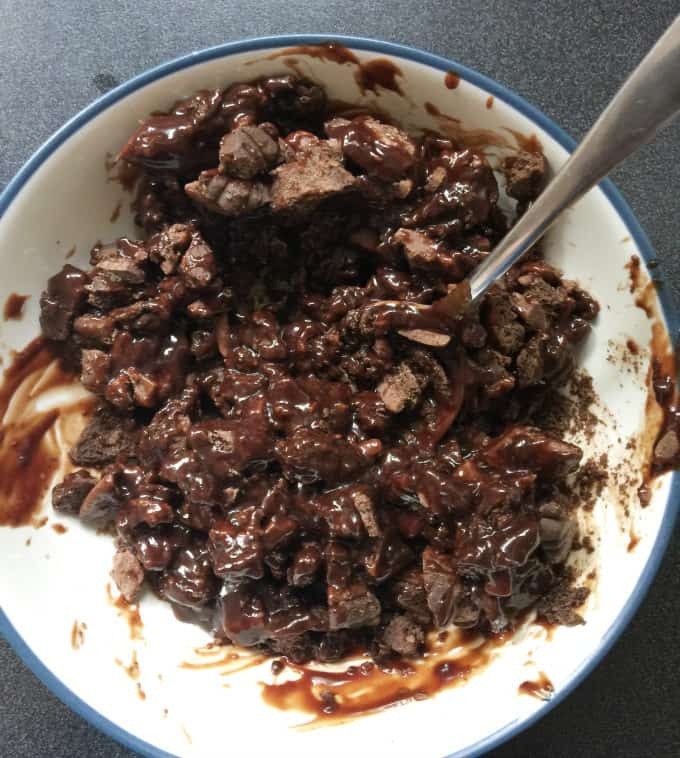 Spoon chocolate mixture over top, spreading to within 1/2 inch of edge. 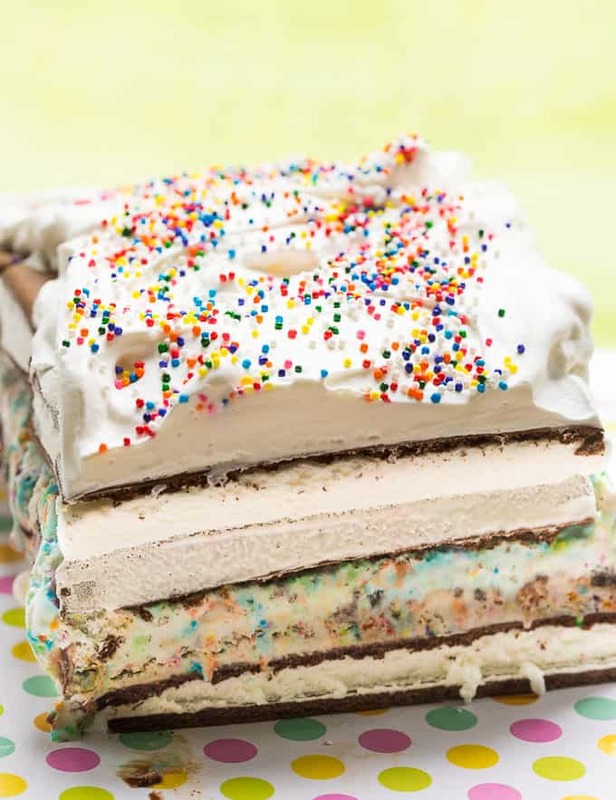 Repeat ice cream layer and top with remaining ice cream sandwiches. Fold plastic wrap over to completely seal the cake. 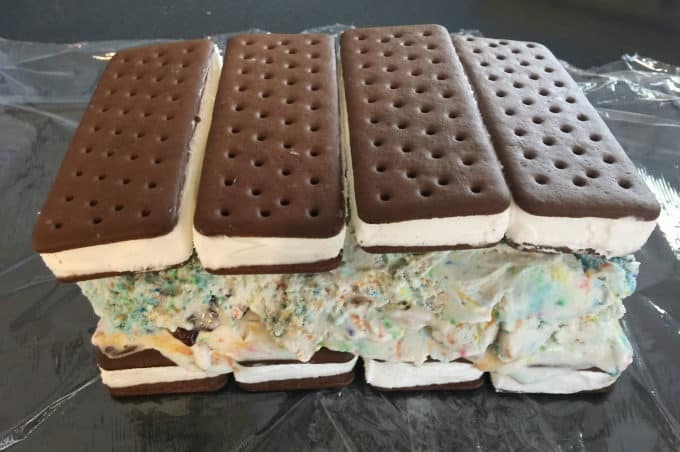 Lightly press ice cream sandwiches down to flatten and adhere to ice cream and press ice cream in to ensure cake maintains its rectangular shape. Freeze until firm, about 4 hours. 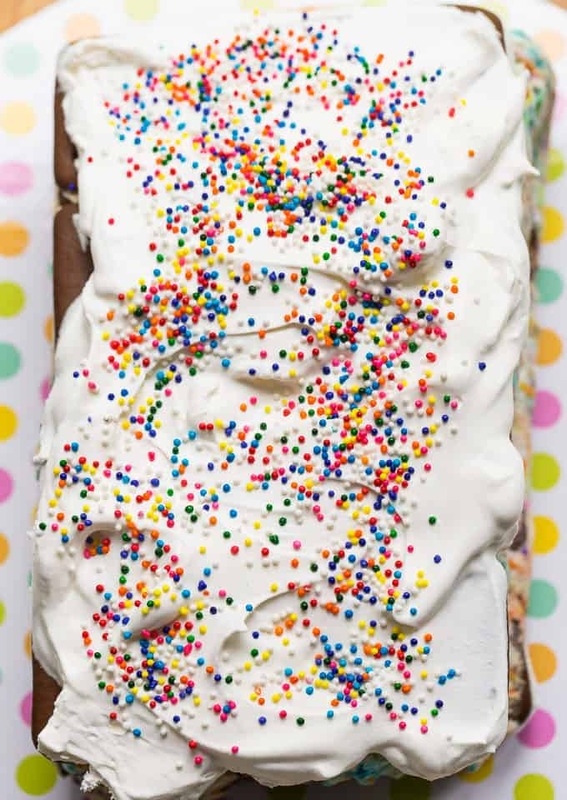 Unwrap cake and spread evenly with thawed whipped topping and decorate with sprinkles. Place in freezer until whipped topping is firm, about 2 hours. Remove to a serving tray. Slice and serve immediately. What frozen desserts do you love to enjoy in the summer? Connect with Walmart Canada on Facebook, Twitter, Pinterest and Instagram. 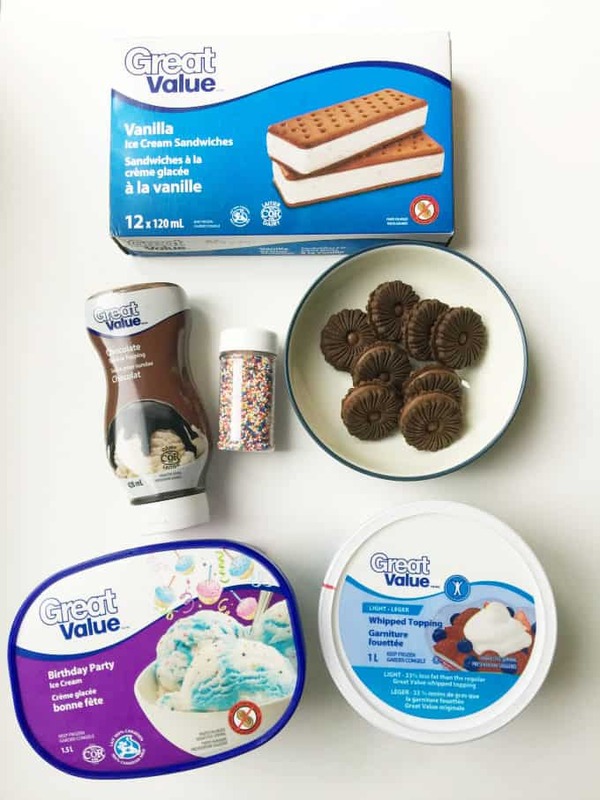 Disclosure: This post is sponsored by Walmart Canada as part of the Walmart Great Value Ice Cream program. In exchange for this post, I have received perks in the form of products and/or compensation. All opinions on this blog are my own. Oh my thanks,i’m going to make this for the grandkids! WOW these treats look awesome, my grandson would LOVE them, thx for the great ideas! 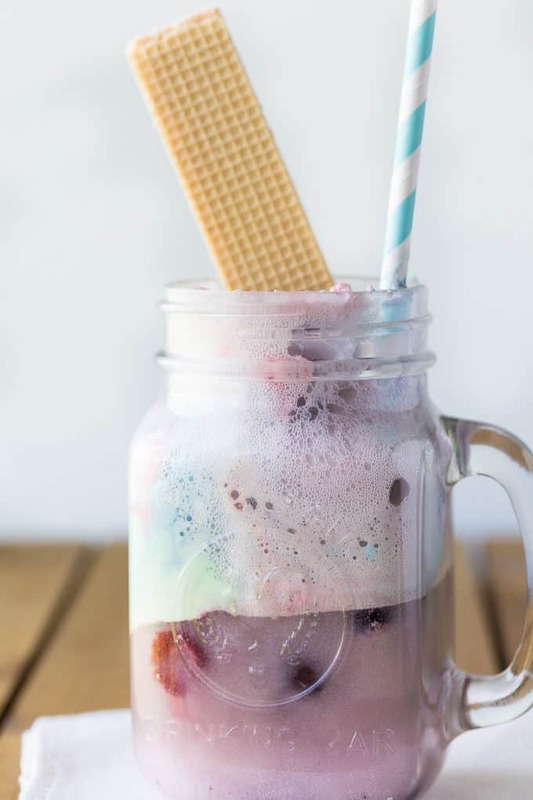 I’m actually craving an ice cream float right now! Yum looks easy and good, thanks for sharing! These all look so good! Ice cream desserts are my favorite kind, especially in the Georgia summer. It gets hot down here! Yes! I am so bookmarking this. I live in Miami, so frozen deliciousness like this is a great way to beat the heat. Yummo. Woohoo! I go for frozen treats like this all the time for our family. We live in literally the hottest state in the US, so these are even more fun for us than the average family. Everything you post is always like magic Stacie. This is a great roundup!!!! Give the kitties kisses for me as well!! And perhaps a couple snuggles!!!! That birthday bonanza cake looks so simple to make and I know it would be a hit with my family. I will have to try this. That Birthday Bonanza Cake looks incredible. I just had a birthday recently, but I am tempted to have a second birthday just to have an excuse to have this cake. Oh fun! I’ve definitely been in the mood for ice cream treats like these. That cake looks super good! Yum… anything cold and frozen in the summer works for me and this looks amazing. Wow, both of those look so delicious. I definitely want to try the ice cream sandwich one out. I think my kids are going to love that. 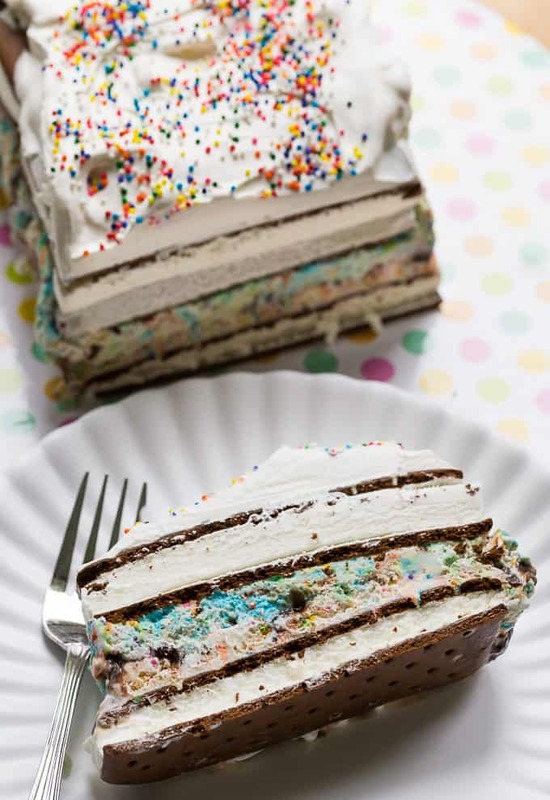 I want to try to make that ice cream cake with the kids! They love ice cream cake and this is a much more afforable way to make it! These are fantastic dessert ideas. I will have to try the Birthday Bonzana Cake next weekend. I am sure it will be a big hit. I think these are lovely treats for the summer and it would be so awesome to have them! 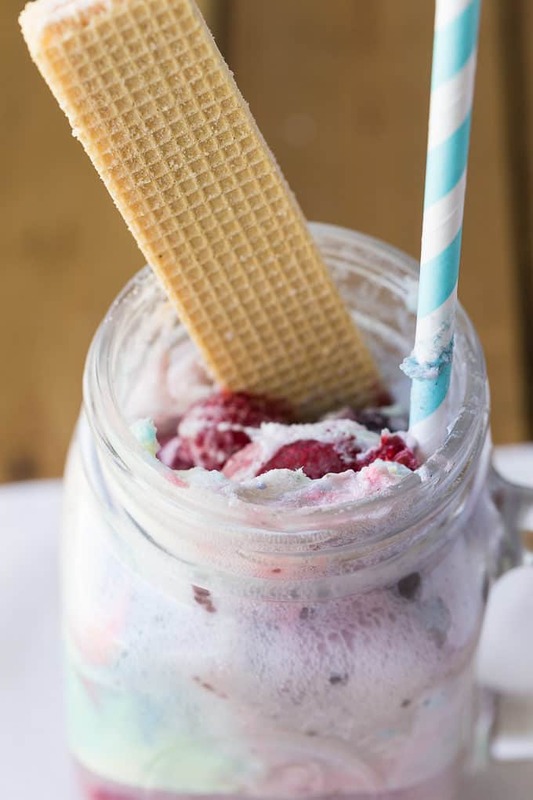 Ice cream is a staple in any household and I’d love to make this for when the kids come visit! Everything looks so TASTY! These not only look Delicious but are also super cute!!! Love the Ice Cream cake idea for my kidos birthday parties. Looks easy to make and would be such a crowd pleaser. I will definitely try this! Such a perfect dessert for summer!! OH wow, these sound perfect right now. 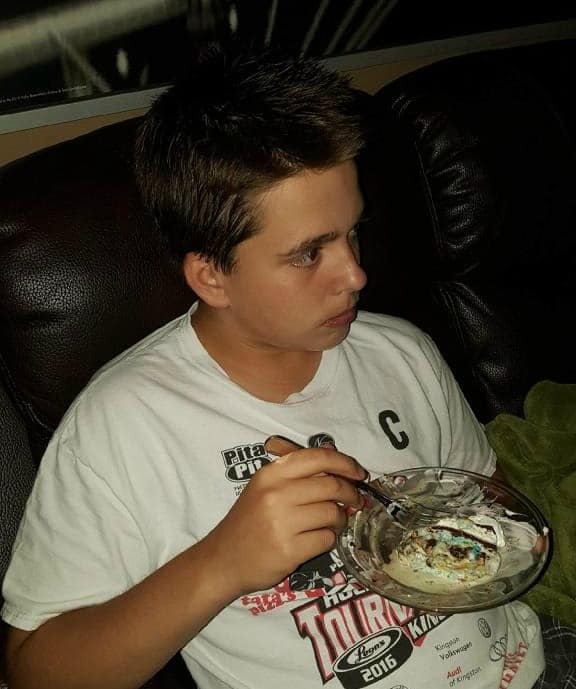 I’m really loving the ice cream cake. Well minus the fact I’d have to share with the kids. I’ve never made ice cream desserts but the Birthday Bonanza Cake looks delicious. These look like great dessert items. I like the way you combine ready made ingredients to make a new and delicious treats. Whoaaaaaa! 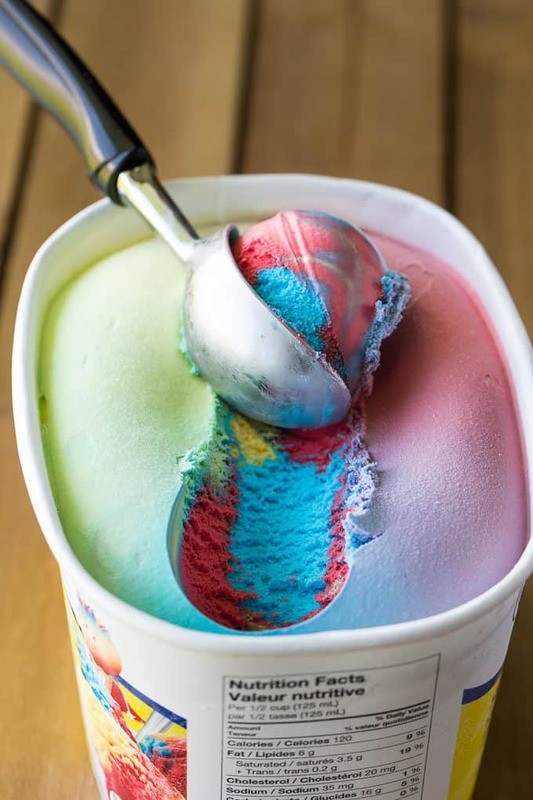 That ice cream is SO colorful and perfect for a summer treat. I will have to look for it. Everything looks amazing, but that Birthday Bonanza Cake I might just have to make with my girls this summer! It’s been so hot here! Any of these would be wonderful right now!